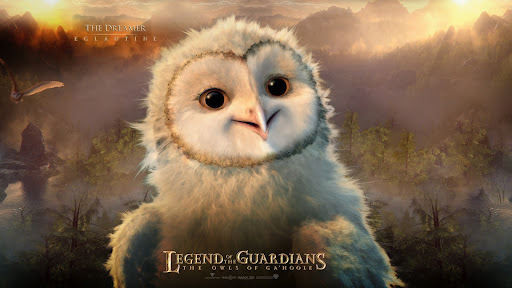 Soren (Jim Sturgess) is a young adventurous Barn Owl who loves hearing stories from his father Noctus (Hugo Weaving) about the legend of the Guardians of Ga’Hoole, a legendary alliance of owls that are sworn to protect the Kingdom of Ga’Hoole. His younger sister Eglantine (Adrienne deFaria) is enamoured by these stories, but their older brother, Kludd (Ryan Kwanten), is jealous of the attention Soren receives. One night, while branching, Soren and Kludd accidentally fall out of their tree. 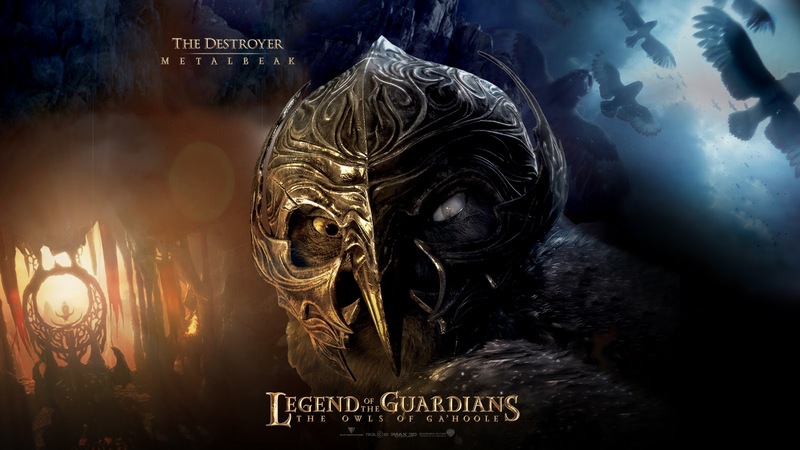 They are attacked by a tasmanian devil and then captured by owls working for the evil Metalbeak (Joel Edgerton) and his mate Nyra (Helen Mirren). Soren and Kludd are snatched by two brothers, Long-eared Owls Jatt (Leigh Whannell) and Jutt (Angus Sampson). Still clutched in the talons of the owls, they soon come across a huge group of other workers for Metal Beak, with other young owlets. Soren meets Elf Owl Gylfie (Emily Barclay) and her captor, Boreal Owl Grimble (Also Hugo Weaving). Nyra arrives and makes a speech to the kidnapped owls, explaining that their families have abandoned them and that Metalbeak’s “Pure Ones” are their new family. Metalbeak believes that Tytos are pure and strong, and deserve to rule. These owls are encourged to show strength and ruthlessness, and as such are to be trained as soldiers, while the rest will be “pickers”. Soren and Gylfie object, and are thus sent to be pickers. Kludd denies his brother, which pleases Nyra. He goes away with the Tytos. The pickers are made to sleep under glare of a full moon, which Gylfie says will induce a sort of hypnotic state that she calls “moon-blinked”. Soren and Gylfie help to keep one another awake to avoid this fate. As predicted, the moon-blinked owls are docile and zombie-like the next morning; Soren and Gylfie try to imitate the moon-blinked birds, but Grimble notices their strange behavior. The pickers are guided to the Pelletorium, where their labor consists of picking apart owl pellets in search of metal flecks which the mice had eaten before being consumed. En masse, the flecks generate a strong magnetic field which has a peculiar weakening effect on owls; they are therefore managed by bats, which are immune to the effect. Soren and Gylfie make plans to escape, but their planning is interrupted by Grimble and they are marched off to his library. Grimble reveals that his family is held hostage against his good behavior, and he has been waiting for owlets clever enough to avoid being moon-blinked; he wishes to teach them to fly and send them to warn the Guardians of Ga’Hoole of Metalbeak’s plans. Meanwhile, Kludd and other various Tytos are being trained by Nyra. With Kludd’s success in an aerial hunting exercise, Nyra suggests that he try to convince Soren to join the Pure Ones. Nyra and Kludd catch Grimble in the middle of a flying lesson, forcing Grimble to fight the Pure Ones to buy time for Soren and Gylfie to escape. Soren begs Kludd to come with them, but Kludd refuses and joins the fray on Nyra’s side. While the Pure Ones kill Grimble, Soren and Gylfie are forced dive over the cliff’s edge, and just barley escape through a small crack between two giant bolders. 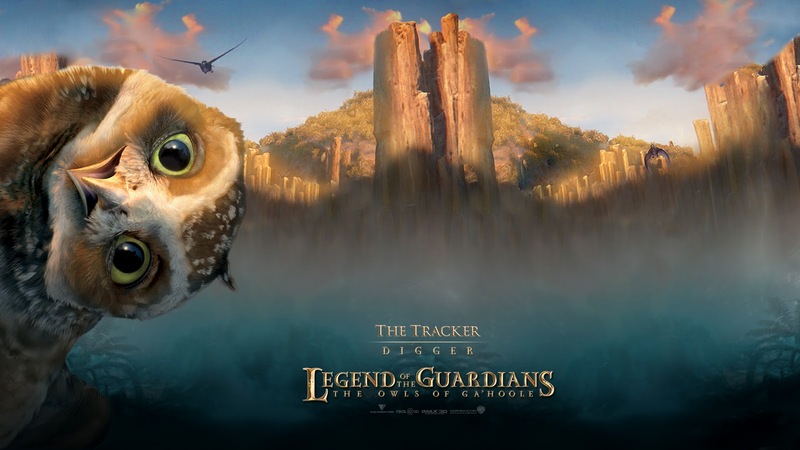 Lost, tired, and slightly injured, the two owls find allies in the form of a quirky Burrowing Owl called Digger and the Great Gray Owl Twilight, who considers himself a bard. They are unexpectedly reunited with Mrs. Plithiver (Miriam Margoyles), Soren’s nest maid snake, who Twilight had captured as dinner. After hearing Soren’s story, they agree to guide him to the Sea of Hoolemere, wherein lies the island of the Great Ga’Hoole Tree. Soren and his band are mobbed by crows on the way to the Sea, and nearly lose Twilight’s lute, in which Mrs. Plithiver is riding. The battle brings them to the shore of the Sea of Hoolemere and the home of an Echidna (Barry Otto) mystic; the crows deliberately led them to the meeting so that the Echidna could give them their bearings to the Great Tree. Far out over the ocean, the group encounters a fierce hurricane, and their strength fails. 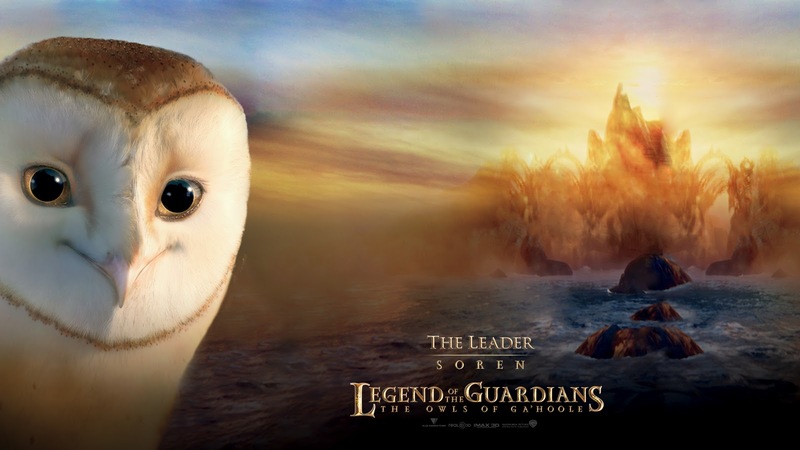 As Digger falls toward the sea, he is rescued by a pair of enormous Snowy Owls with armored masks – the Guardians of Ga’hoole. They lead the band through the storm and to the Great Tree. Digger’s saviors are Boron (Richard Roxburgh) and Barran (Deborra-Lee Furness), the king and the queen of the Tree. They and the ranking officers of Ga’hoole hear Soren’s tale in council. The search-and-rescue squadron leader, Allomere, expresses doubts about Soren’s story, but battle-scarred Ezylryb defends him and Boron eventually agrees to send a scouting party to St. Aegolious. Kludd, under the orders of Nyra, brings Eglantine to St. Aegolious. They witness Metalbeak giving a speech to a large group of red-eyed Pure Ones. Eglanine is very frightened, and wants Kludd to bring her back home. Kludd tries to convince Eglanine that this is her new home now, but she still wishes to leave. Kludd chooses to make Eglantine a “picker”. He tells her to sleep under the gaze of the full moon, moon blinking her. Soren and Gylfie’s training begins. Ezylryb takes them out to learn how to “really fly”, using a powerful storm to teach the young owls how to use the wind currents instead of fighting them. Soren briefly masters the technique of flying by instinct, though he loses control when he starts trying to think about what he’s doing. After the lesson, Ezylryb brings Soren to his hollow to discuss the lesson. While there, Soren discovers that Ezylryb is in fact the legendary warrior Lyze of Kiel; the story of Lyze defeating Metalbeak had been one of Soren’s favorite stories. When Allomere and his soldiers arrive at Metalbeak’s camp, they are ambushed by the Pure Ones and the energy of the metal flecks is used against them. Allomere barely escapes, carrying two moon-blinked owlets, one of whom is Eglantine. 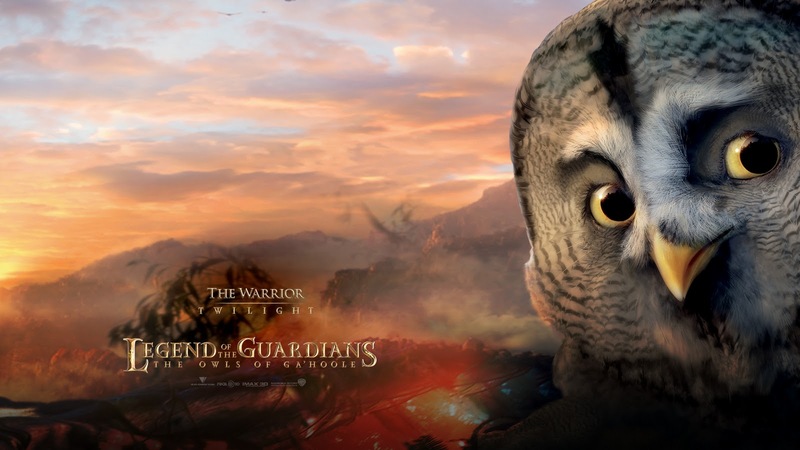 With this proof, the Guardians go to war. Soren reluctantly stays behind to watch over Eglantine, and is thirlled when she finally wakes up. Eglantine awakens, and she tells Soren that Kludd gave her to Allomere to bring back; which means that Allomere had betrayed them and is leading them into a trap. Soren and the band fly off to warn the Guardians against the trap and Allomere’s treachery. Soren plunges into the flecks’ magnetic field to drop the flaming oil lamp on the mechanism which holds open the lids over the flecks; the fire spreads across the machine, burns through the ropes and the lids slam down, freeing the Guardians. With his plan disrupted, Metalbeak orders the Pure Ones into battle. Ezylryb and Metalbeak square off, as do Soren and Kludd. They both fly into a small tree, and are dangling over the fire. Kludd has the upper wing against Soren, eventually sending them both plummeting into the forest fire, but Kludd breaks his wing on a branch. Dangling over the flames, Soren tries to save him, as he tries to pull his leg up, Kludd tries to throw Soren into the fire. The attempt then breaks Kludd’s branch and he falls instead into the burning flames. Grieving for his brother, Soren sees Metalbeak and Nyra attacking Ezylryb. Angry at this, he flies off with a burning branch to attack him. Ezylryb is no match for both Metalbeak and Nyra. Soren arrives just in time to save his life and attacks Metalbeak with the burning branch. The veteran warlord easily overpowers Soren, but he grows overconfident and Soren manages to stab Metalbeak with the flaming branch when he dives at Soren, killing him. A shocked Nyra retreats with the remaining Pure Ones. They return to the Great Tree with all the owlets and Soren is greeted by Eglantine and his parents. Soren, Gylfie, Twilight and Digger are made Guardians of Ga’Hoole. In the epilogue, Soren reveals that Kludd’s body was never found and Nyra is still out there with a contingent of Pure Ones, hinting at a sequel. 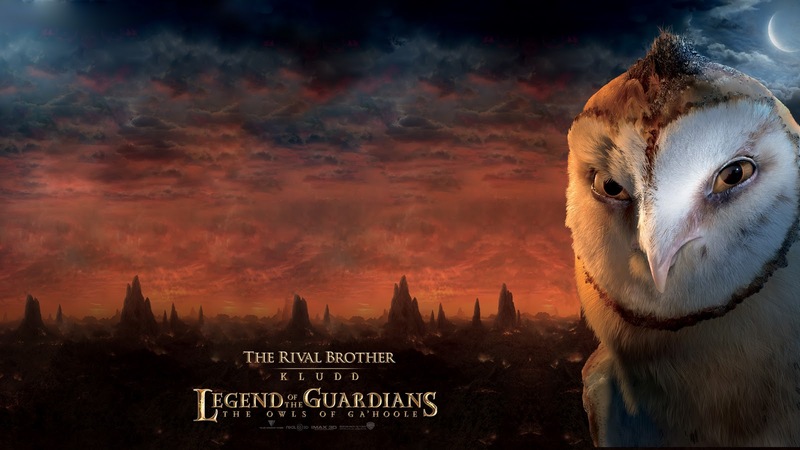 Kludd is also shown looking at Metalbeak’s body and mask, now with red eyes. The movie ends with Ezylryb and Soren going to fly into another storm.